For the traveler it doesn't feel satisfied if they haven't vacation in Jogja. 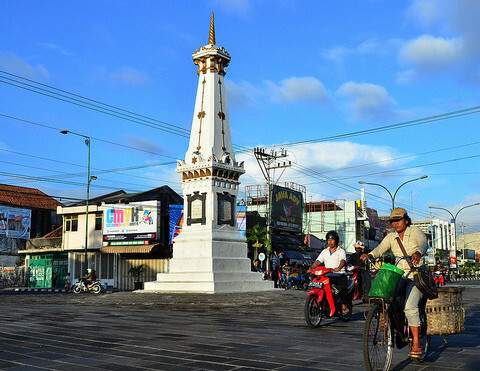 There is many interesting tourist spot for young travelers in this city to do jogja tour. As a Student City, of course there are many people who are educated here. Make friends and introduce yourself to other travelers from various regions and countries. There are various types of tourist destinations that is interesting to visit. Historical, cultural, shopping, culinary and natural tourism tours are all available in Jogja. If you like to climb mountains, there are Mount Merapi and Merbabu are the most preferred tours. If you want to go on a historical tour, you can come to Fort Vredeburg or go to Prambanan Temple and watch the Ramayana performance. Not only tourist attractions, Jogja has many delicious food at affordable prices, for example nasi kucing, oseng-oseng mercon and goat fried rice with tempting spices. Usually only by spending Rp. 15,000 you can eat. Some young travelers always update their status and upload photos on social media while on vacation. Jogja has various tourist attractions that are so photogenic. There is Kalibiru Nature Tourism and Mangunan Fruit Garden with stunning views of hills and rivers. Various temples and beaches are also often a place to hunt photos of sunrise and sunset. Transportation from and to Jogja is not difficult. From Jakarta, you can take a train, bus or plane. If you want a low budget, try taking an economy buses or train. After visiting Jogja, you can continue your vacation to other cities, such as Solo or Semarang because the distance is not too far away.